Citizen of the World: Recycled Camo! Hey everyone! So I'm super excited to be wearing this jacket again....I've had it for 7 years? Maybe 8?! It's crazy how cyclical fashion trends and style can be...I bought this when camo was incredibly popular and stopped wearing it when it died out and have had it waiting in my closet for the perfect time to bring it out again and am so glad it is that time! I bought it when I was working at this little store called "Clic Klak" on Queen Street West in Toronto! My jeans are Rockstar Skinnies from Old Navy (best fitting skinny jean ever for petites), shoes are from H&M, green shirt is Joe Fresh, scarf was a gift, my bag is from Target and my sunnies are from Urban Outfitters! On a side note....I'm also really into low buns these days which is a huge change for me as I'm all about the high, top-knot/ballerina bun! What an awesome jacket! So cool that you've had it all these years! I'm loving the low bun too:)! 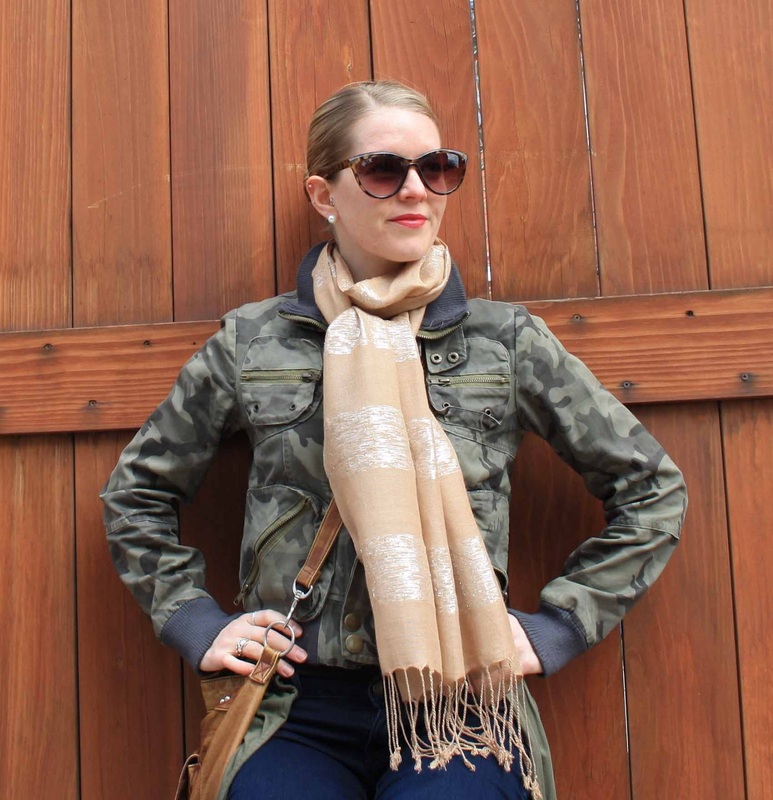 camo is such a tricky thing to pull off and you do it fabulously. Adore this look! Fashion cycle, don't "we" just loved it?! cute look! this look is actually perfect! Great jacket and scarf! You look fabulous! Great camo look! Your sunnies are gorg! Seriously perfect! That is awesome you kept it from the last camo trend! Cute!! I'm seeing lots of camo these days all of a sudden.